Bianca Stone Poetry Comics: Ink Brick Is Here! Paul Tunis, Gary Sullivan, Alexander Rothman and I have been dreaming of putting together a poetry comics journal, spurned from our little collective, and now I'm thrilled to announce it's a real thing. 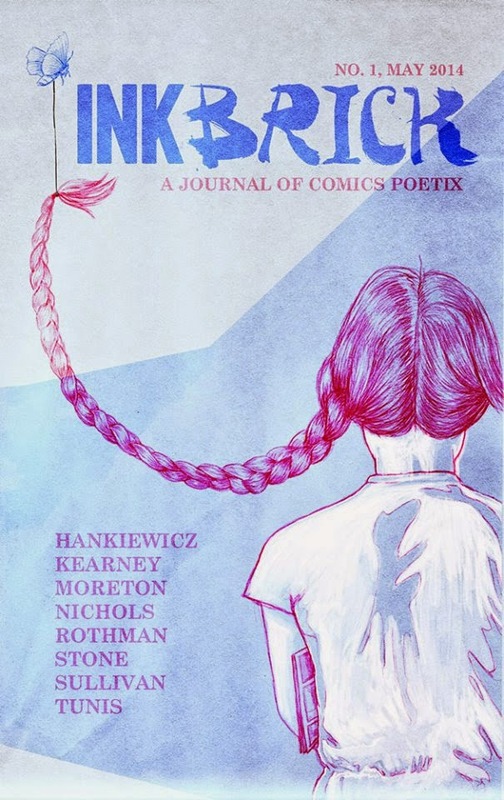 The first issue of INK BRICK will feature original work from John Hankiewicz, Simone Kearney, Simon Moreton, and L. Nichols, as well as the four cofounders. We're debuting it at the Toronto Comics Arts Festival on May 10. Pre-orders start today at MoCCA Arts Fest, and we're knocking a dollar off the normal price to celebrate. If you're interested in comics or poetry or both, please check us out. We are very excited and we're just getting started.